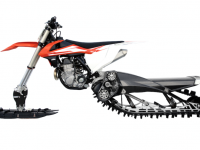 120 SMX and 129 SMX share similar suspension mounts, different than the 137 SMX and 146 SMX. Front spindle designed for use with FREEWHEEL wheel kit from inception, allowing you to easily move, load, or ride your bike without scratching your floor or damaging your centre skag. Integrated fueI tank holds 17.5L (4.62US GAL). 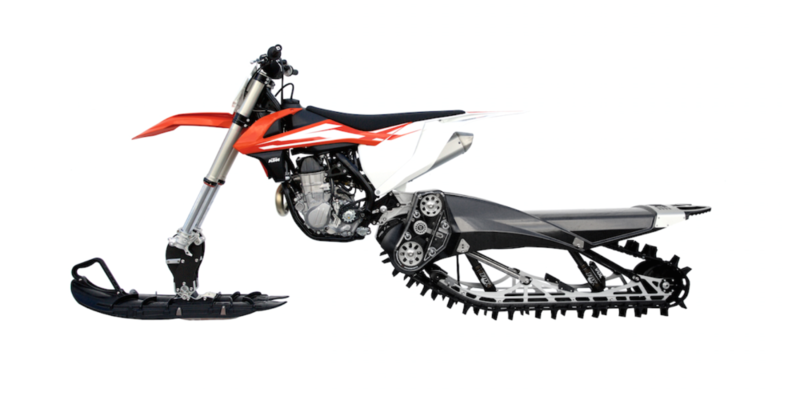 Comes with rear mount and quick pin release system. Moves 28 lbs of weight 18” ahead when compared to a rear mount system, a difference you can feel. Fuel tank does not touch the carbon. Fuel tank removes from chassis in less than 5 seconds (sold separately). Each YETI comes with an D.I.D. brand “X” ring or “O” ring chain depending on length for your specific bike. YETI comes with a 1 year parts warranty on all parts, from date of purchase, for defects in workmanship. It is the owners responsibility to register their YETI’s VIN number for the warranty to apply ( see website or owners manual for specific details). For More Info Click HERE to got to the Yeti Website!